The recently concluded 10th BRICS summit in Johannesburg struck all the right notes expected from a gathering of global leaders. 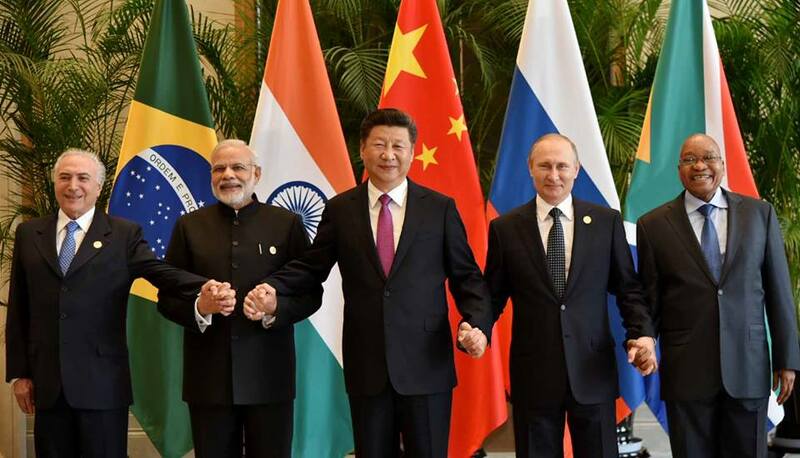 But 15 years after it was first talked of as a bloc, has BRICS under-delivered on its promise? As expected, global trade was the main talking point at the Johannesburg meeting, especially the disruption being threatened and partially brought in play by the United States President Donald Trump, who has unilaterally imposed additional tariffs on imports of nearly USD 500 billion, impacting practically all the major economies in the world, even if more than half of the punitive tariffs target the global trading behemoth, China. The BRICS nation resolved to act in unison to ensure that the rules and structures governing global trade are preserved despite Trump’s actions and notably reiterated their commitment to enhancing open trade not only between themselves but also with other countries around the world. The sentiments expressed in Johannesburg were essentially a repeat of the statements made by leaders such as Chinese President Xi Jinping and India’s Prime Minister Narendra Modi since the Davos meet of the World Economic Forum in January. Another main point was the proposed restructuring of the International Monetary Fund (IMF) to ensure the governance of the institution reflects the needs and opinions of the poorest economies of the world. This is a thorny issue as the current power-holders in the IMF – the G7 nations – are loathe to give up their control over one of the most powerful financial institutions in the world. In Johannesburg, the BRICS upped the ante by committing to the deadline of 2019 for a revision of the quotas currently used in governing the IMF. The summit also talked of several other issues such as increasing intra-BRIC investment as well as the new industry mantra – industry4.0 or the fourth industrial revolution dealing with the Internet of Things and smart manufacturing. The leaders also agreed to strengthen intra-BRIC collaboration in dealing with other global priorities such as climate change, sustainable development, terrorism, peace and security. While the BRICS as a block has definitely emerged as a player on the global scene and it is being taken seriously, perhaps much more than even Jim O’Neil, the Goldman Sachs analyst who coined the term in 2001, had imagined at the time. One of the biggest achievements and which is highly visible, even if a bit controversial, is the setting up of the BRICS Bank, called the New Development Bank (NDB), set up to offer a platform of international finance that is not totally controlled by the developed economies as is the case with the World Bank and the IMF. The NDB has already funded nearly USD 2 billion of projects in its member countries and has a target of taking this figure to USD 32 billion in the next four years. 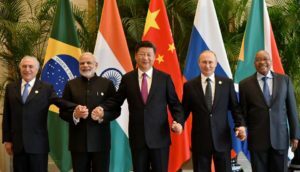 The setting up of NDB, which has so far been financed primarily by China, has definitely opened up new avenues for the BRICS members for financing their own projects and do not need to kowtow to the policies and diktats of the World Bank, which they perceive as being biased against the developing world. Now, the NDB has also decided to fund sovereign projects in non-BRICS nations as well and will soon open its membership to new countries. Clearly, the Chinese are propelling NDB in this direction as they see it as an effective tool to fund their global project of Belt and Road Initiative (BRI), which will touch most of the global economies, especially the developing nations in Asia, Africa, Middle East and Europe. By adding to the muscle of NDB, China would be able to create the channels for funding the BRI, whose estimates vary sharply between USD 1 trillion and USD 8 trillion. Other success indicator for BRICS is clearly the economic heft of the block. In 2017, BRICS countries’ GDP stood at about USD 17 trillion, or 23 pc of the global GDP, almost double the prediction made in 2003. By 2020, the BRICS share in global GDP is expected to rise to 25.2 pc of the global GDP. The main growth has obviously come from China and now increasingly from India, but other BRICS economies have also recovered from the global commodities glut and expected to do better. Despite rather sterling performance in economic domain, the BRICS countries could find bilateral relations between the two of the largest members – China and India, which have been less than warm over the last couple of years. India has steadfastly refused to join or support the BRI, seeing it as a way for Chinese hegemony to spread, especially in South Asian region, which India considers as its backyard. India also is flummoxed by this initiative as compared to the trillions being showered by the Chinese, India’s own financial assistance to the African and South Asian countries remains trifling. The contrast between the two stood out starkly during the recent visits to Africa by Jinping and Modi. While China signed 15 deals with Rwanda, whose value has not been disclosed and China also agreed to invest USD 14.7 billion in South Africa, India gifted 200 cows to Rwanda and offered credit lines of USD 200 million each to Rwanda and Uganda. The competition between the Asian giants for influence in Africa – believed to be the next big growth area – is set to heat up further and this could weaken their cooperation as members of BRICS. The failure of the two nations to find a solution to their long-pending issue of border demarcation is also likely to remain a thorny one, as is the perceived Chinese support to Pakistan, with whom India’s relations seem to be getting nowhere. The other weak point relates to intra-BRICS trade where the bloc has failed to live up to its potential. BRICS share in global trade has risen sharply from 11.8 pc of global trade in 2006 to 17.2 pc in 2015, with the total value of BRICS trade standing at USD 5.7 trillion in 2015. By contrast, the intra-BRICS trade stood at a mere USD 537 billion in 2015, while the share of BRICS nation in the global GDP was close to 22.5 pc. Being home to five of the world’s largest economies, the BRICS need to trade much more with each other, not only to keep their economies healthy but also ensure that their stated objective of keeping global trade free and healthy is met with some concrete action by them.